Kingdom Hearts III events set after those of the film. 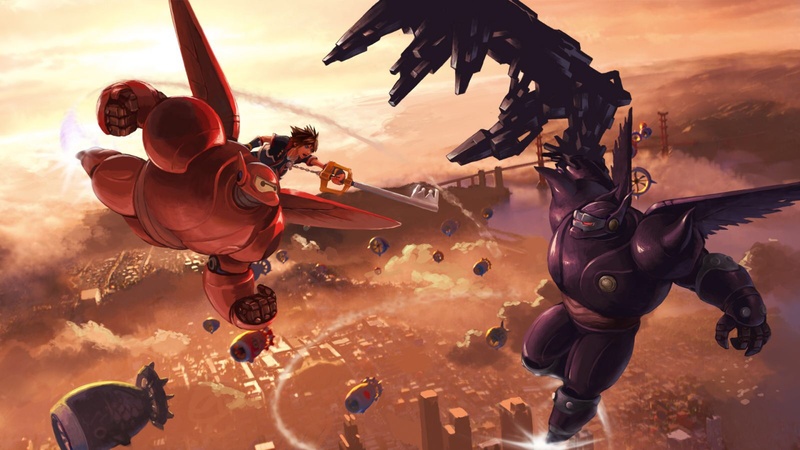 Following its Tangled world reveal at E3, Square Enix and Disney Interactive at D23 Expo in Anaheim unveiled Kingdom Hearts III‘s latest Disney world to be that of 2014’s Big Hero 6 film. The story will take place after the events of the film, allowing the movie team to explore new adventures and to bring Baymax back into the picture. To commemorate the special event, Kingdom Hearts III director Tetsuya Nomura put together a new piece of concept artwork for the game, pictured above. Outside of the Big Hero 6 announcement, series executive producer Shinji Hashimoto said that every keyblade in the game will have special transformations, each totally different from the next. Watch a message from Big Hero 6 producer Roy Conli below.